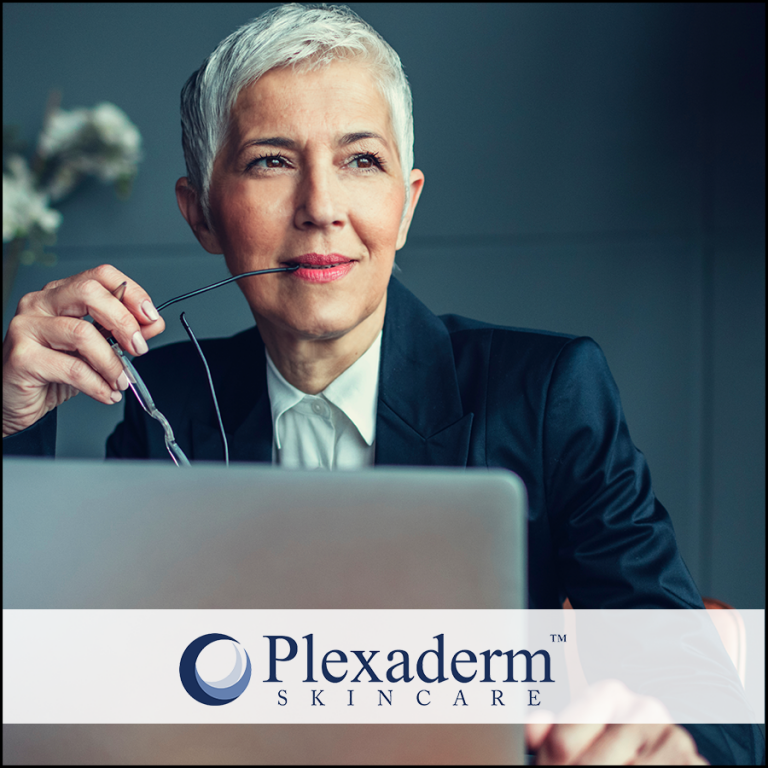 Plexaderm Blog - Surprise Reasons You’re Getting Under-Eye Bags! Surprise Reasons You’re Getting Under-Eye Bags! A leading cause of under-eye bags is genetics, but there are other factors that are less known to many. Less is more: One mistake many of us make is using too many products under our eyes. To begin, using eye creams, oils and serums for under eye moisturizing are good. Retinol, salicylic acid, glycolic acid and other products are designed to create skin cell turnover to help with improving the look of your complexion. Using these types of products directly under your eyes could cause irritation, leading some people to rub their eyes which can cause inflammation. Inflammation and the act of physically rubbing under your eyes can create additional puffiness causing darker areas under your eyes. It is sort of a trickle-down effect. Try and keep your regime to a minimum, one eye cream for the morning and one for the night. Solution – There is an orbital bone around your eye. Feel for it with your fingers and make a mental note that products not made for under the eyes should not go past it. Keep it Clean: When you're doing your daily routine of cleaning yourself, whether it be your face, body or hair make sure you do a thorough job. Shampoo, conditioner, body wash/soap or facial cleanser can leave residue if not washed off completely. These residues can get trapped under your eyelids...ick! This can lead to eyelid dermatitis, in other words, inflammation leading to rubbing, thus potentially forming under-eye bags. To add fuel to the fire, if you use eye makeup products and eye make-up remover products that have fragrances and preservatives they can cause even more irritation for people with sensitive skin. Solution – Make sure you clean thoroughly and don’t leave any residue of products. And if you're sensitive to irritation, hypoallergenic products may be of better use to you. One ingredient you may want to avoid is methylisothiazolinone, which is a bacteria-fighting preservative that can cause skin reactions in some people. Losing Weight Can Affect Every Part of You: Losing weight is normally a positive thing! One should always strive to be healthy. But there are certain instances when losing a lot of weight can cause eye bags to appear bigger. Yes, this is true! When you lose a substantial amount of weight in a short period you can lose volume in your cheeks which may change the look of your face. If you are older and losing weight this could be more of a drastic change. Solution – Cold compresses work, but they are very temporary. There are also surgical procedures you could try, but they are for extreme cases with risk and can be very costly. I would recommend trying Plexaderm! 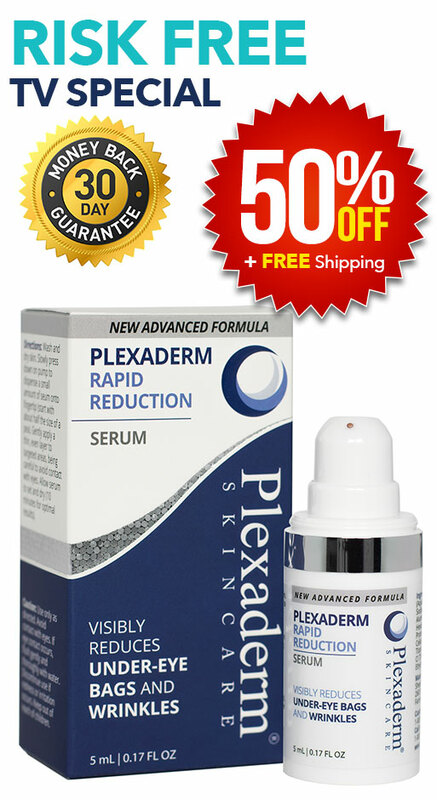 In fact, Plexaderm can visibly reduce any under eye puffiness or facial wrinkles for hours.